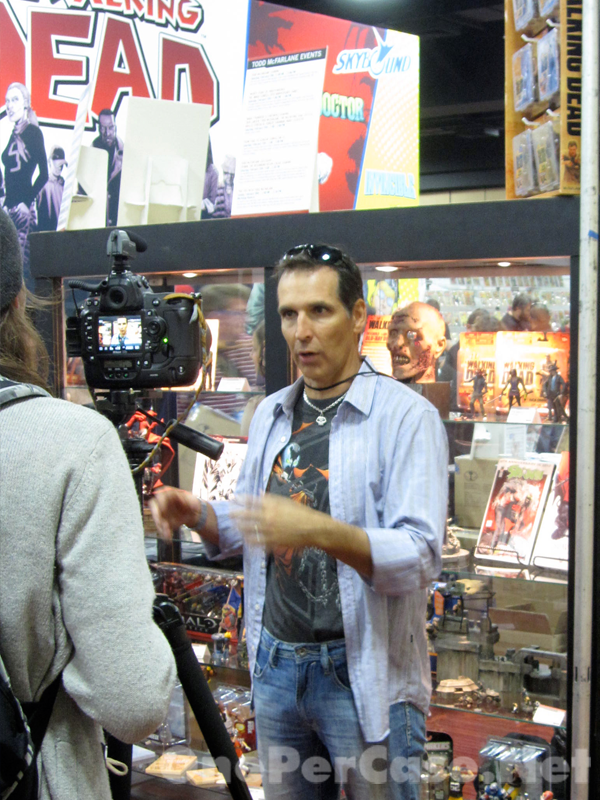 This past weekend was the Image Expo, celebrating 20 years of Image Comics, held at the Oakland Convention Center in Northern California. 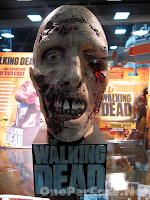 In addition to all the other Image Comics and other comic presences, there was a huge portion of the show designated to the Walking Dead. 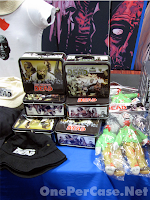 From comics to toys to limited blu-ray sets and more, this was definitely the place to get your Walking Dead fix. 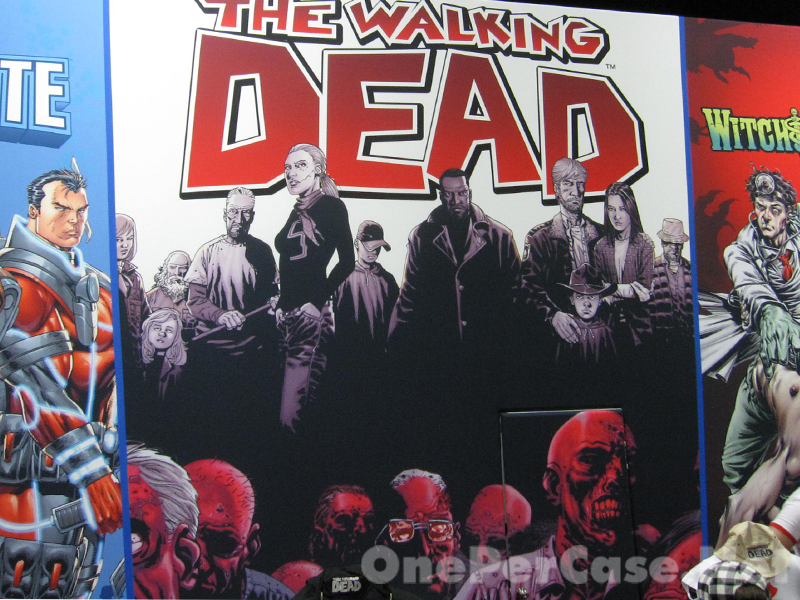 The main Image Comics booth featured a large center graphic for the Walking Dead, and plenty of Walking Dead merchandise to go around. 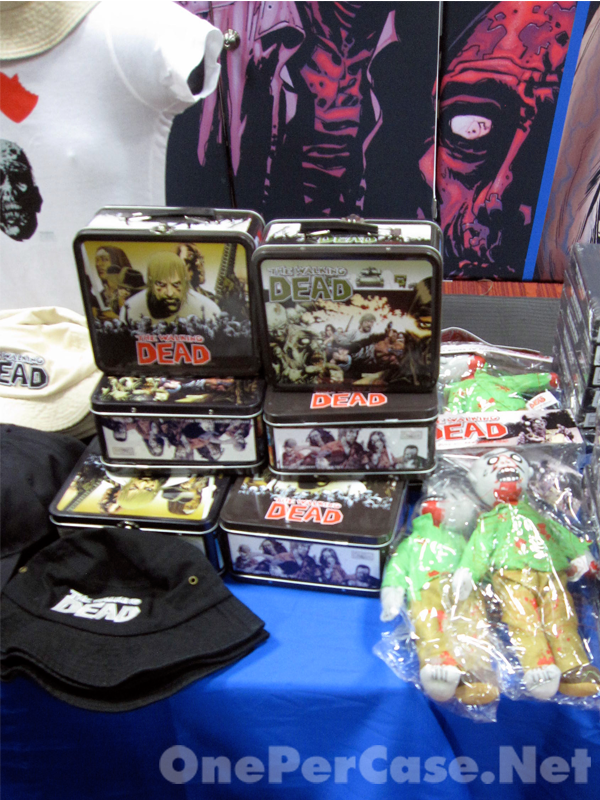 Shirts, wristbands, lunchboxes, boonie hats, plush zombies, you name it. 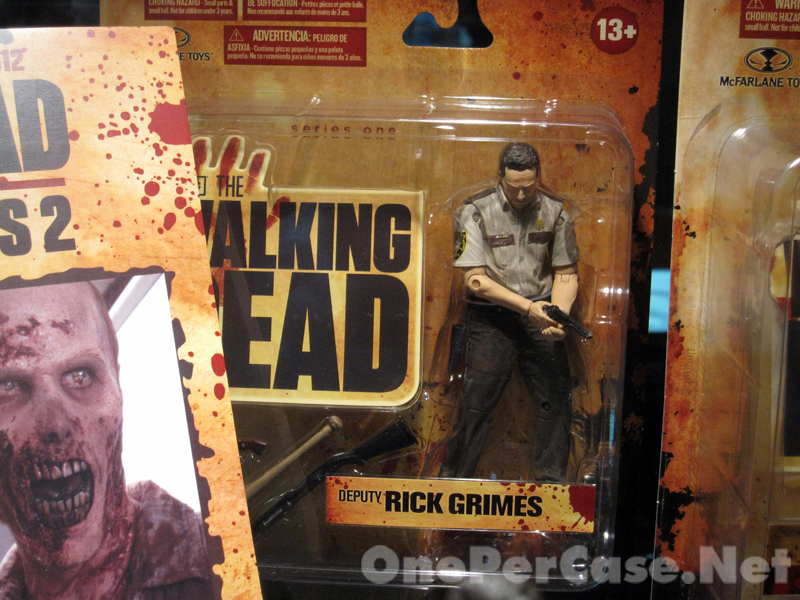 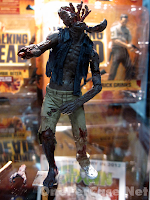 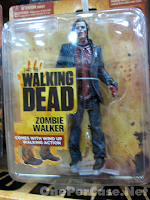 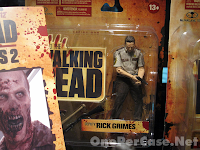 It was cool to see a lot of Walking Dead comic merch, and not just stuff based on the hit AMC series. 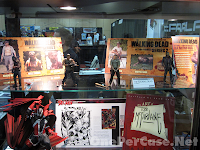 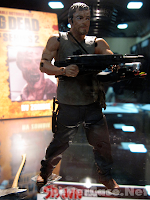 McFarlane Toys provided a nice display case filled with, among other toys, both comic series and TV series Walking Dead figures, and a few sneak peeks, including the Season 2 Blu-Ray Limited Edition case. 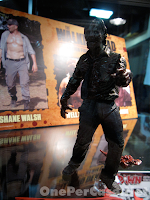 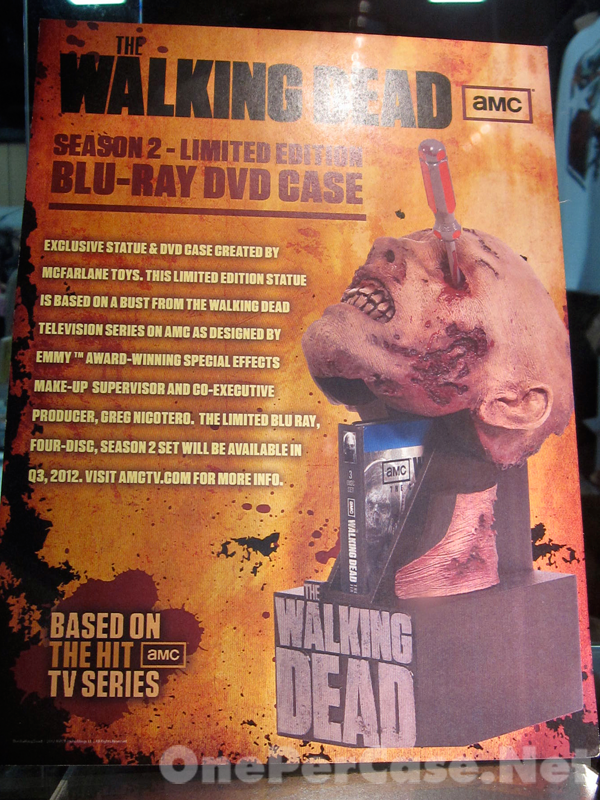 The Season 2 Limited Edition Blu-Ray comes in an exclusive statue DVD case created by McFarlane Toys featuring a zombie with a well placed screwdriver in the eye. 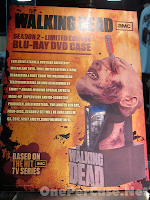 The neck pops up to reveal the DVD case. This limited edition four-disc set is schedule to be released some time in the third quarter of 2012. 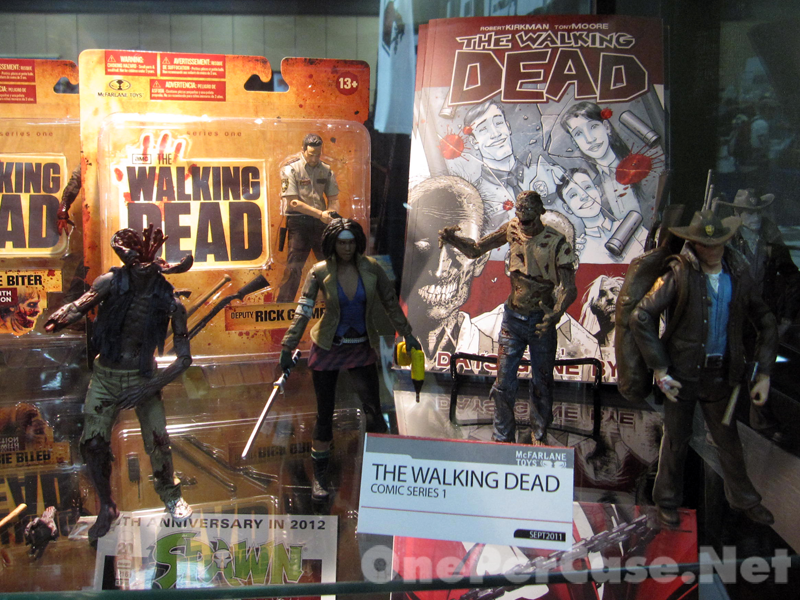 While it was cool to see these on display, it's nothing you haven't seen before. 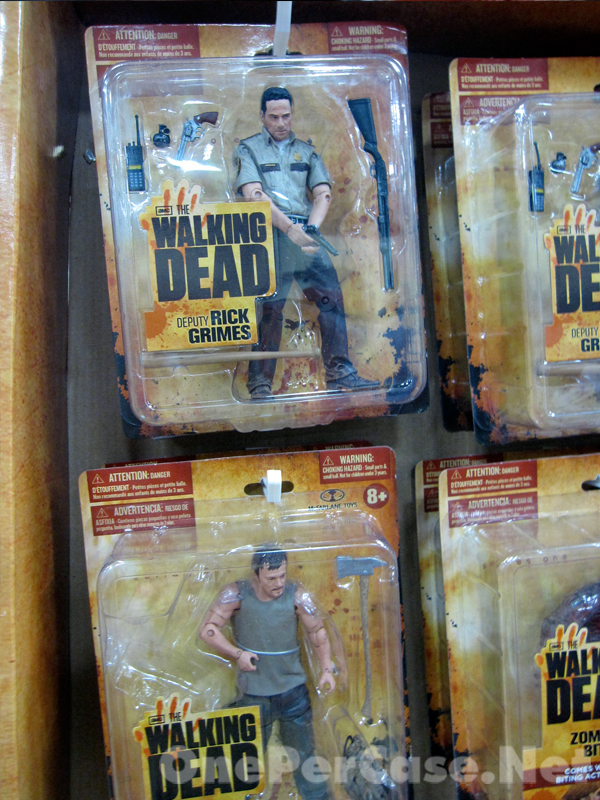 These have been available in stores for quite a few weeks now, so you probably know what these are all about. 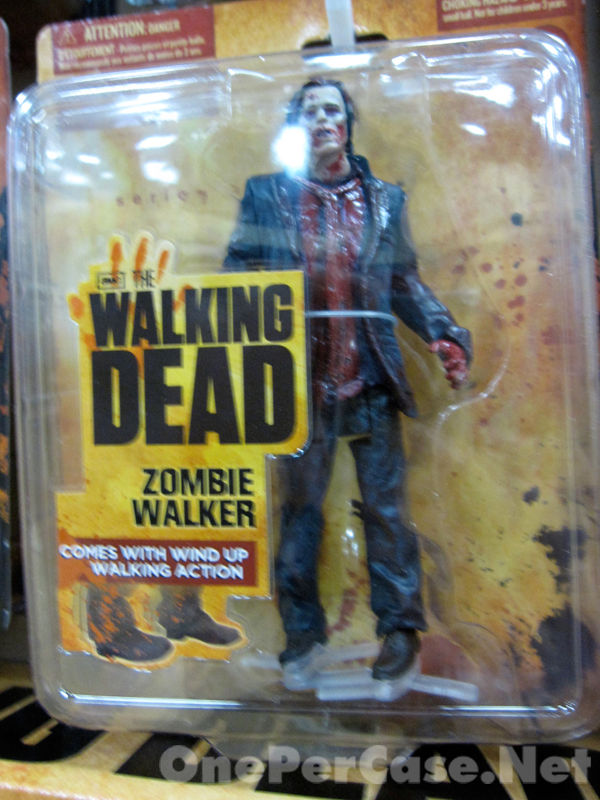 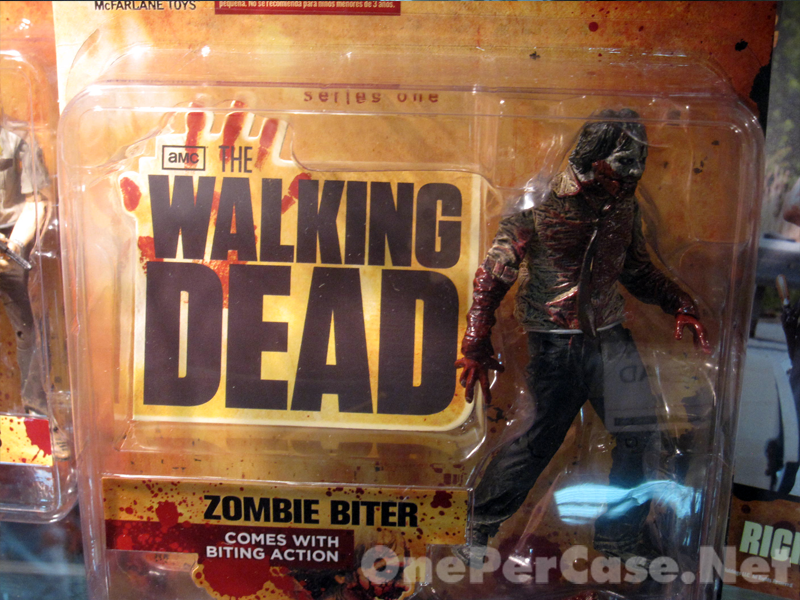 Series 1 includes Rick Grimes, Michonne, a Zombie Lurker and a Zombie Roamer. 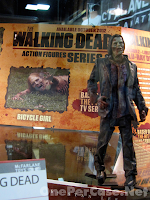 Sculpt and articulation-wise, these are very similar to the TV series figures, so see my notes on that below. 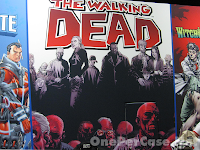 No hints as to what might be included in a second series. For the TV series figures, we were at least treated to some sort of sneak preview of what is to come. 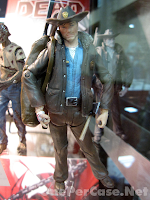 Granted, it was just photos from the show, and nothing in plastic, but still, something is better than nothing, and I'll take some screen shots over no previews any day. 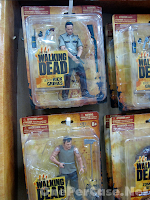 Then again, the info isn't really anything you couldn't already get from checking out pre-sales at online retailers like BBTS, although there does seem to be a little debate on a couple of the figures. 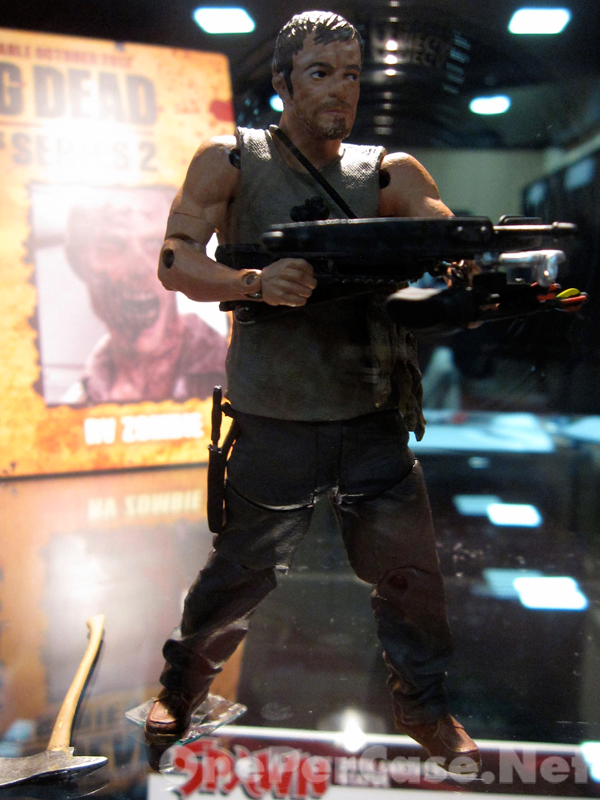 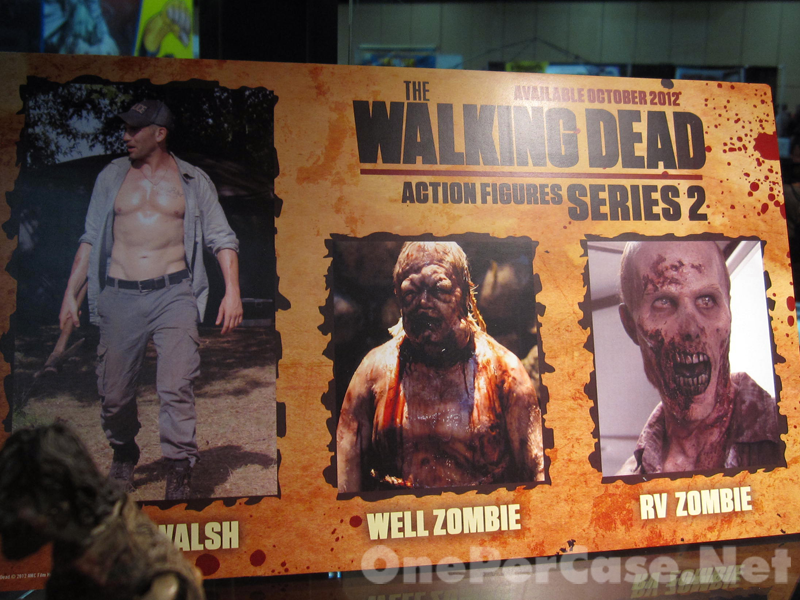 It looks like we'll be getting a Shane Walsh, Well Zombie and RV Zombie. 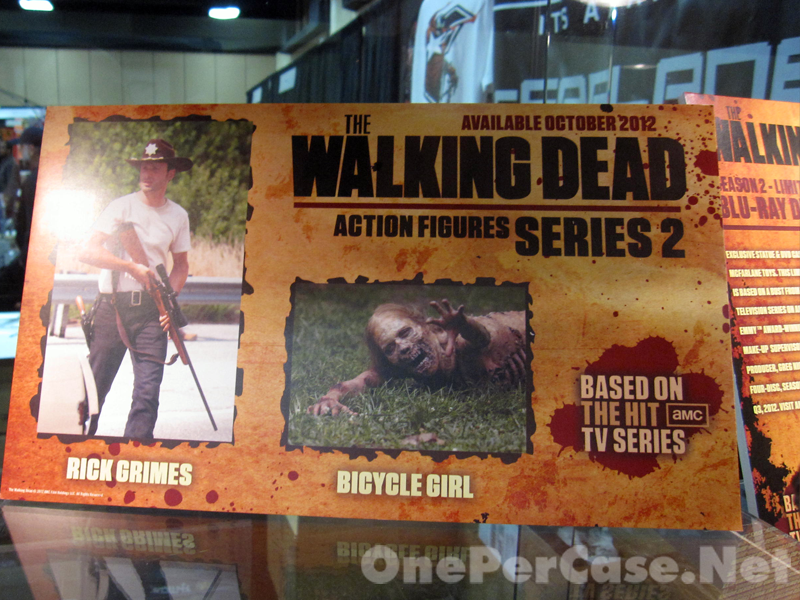 Then, depending who you believe, we'll either be getting Andrea or a new Rick Grimes and the infamous Bicycle Girl. 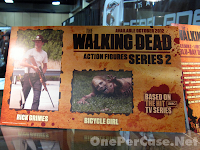 As a late announcement, Image Expo featured signings by a couple of the stars of AMC's hit the Walking Dead TV series. With the purchase of an autograph ticket, you were treated to signings by Norman Reedus (Daryl) and Steven Yeun (Glenn). 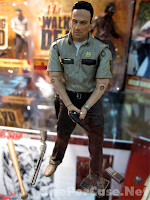 I'll be honest, I understand the need to make money, but I'm not a big fan of being charged an additional fee for an autograph at a convention where you already have to pay a fairly sizable admission fee. 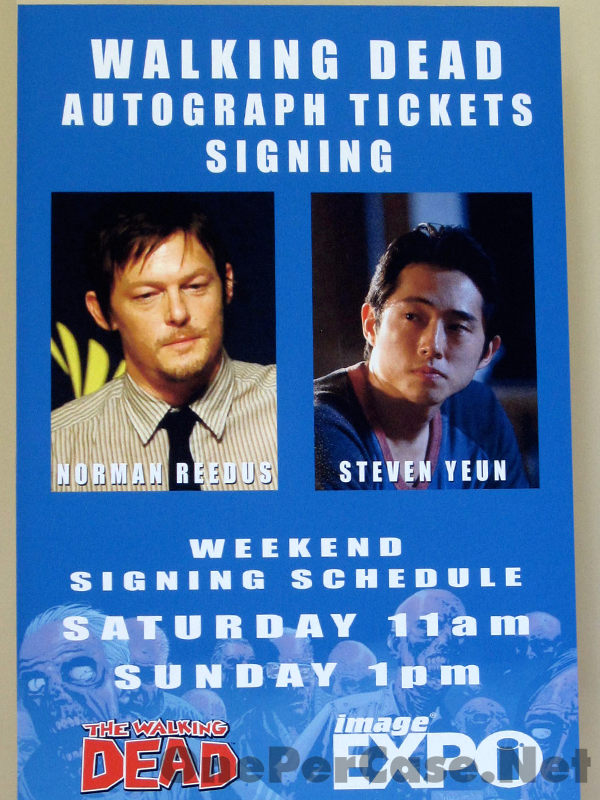 Personally, I'd rather they just charge more for admission and make autographs part of the included price. 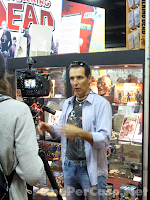 I went to my share of baseball card shows as a kid, so again, I understand that this is the way the system works, but it doesn't mean I have to like it. All that being said, both Mr. Reedus and Mr. Yeun were very gracious, took their time with each fan, posed for pictures, and I believe both stayed past when they were scheduled due to the high demand. 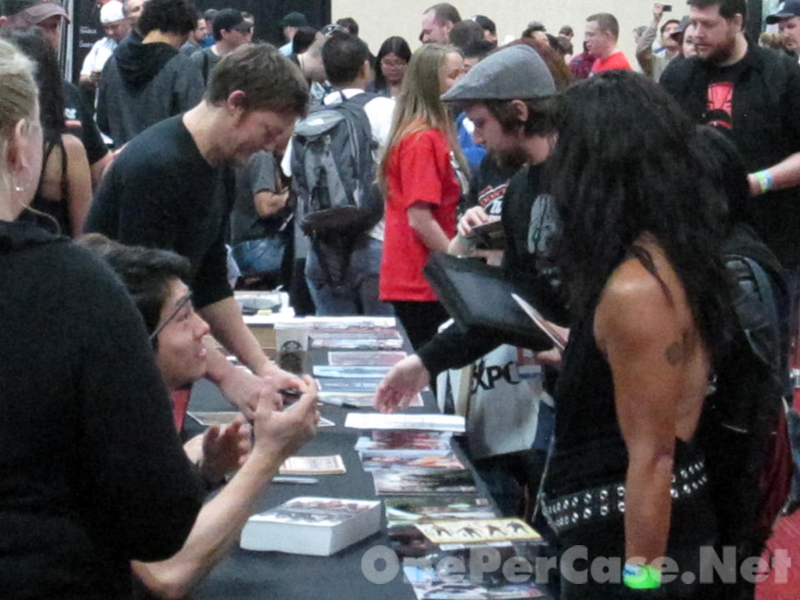 If you're paying for an autograph, and least it's going to someone who is appreciative of their fan base. 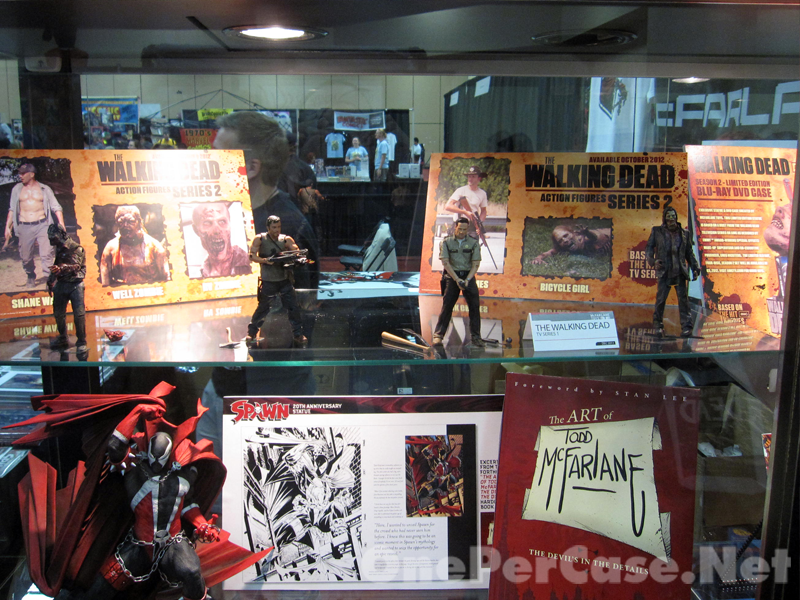 So overall, nothing Earth shattering revealed at Image Expo. 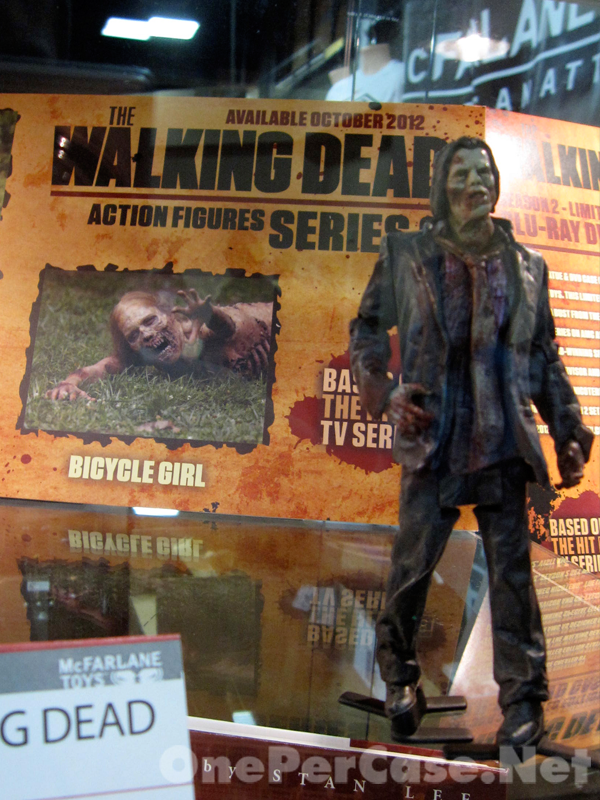 Anything that was presented as a sneak peak was already information that anyone with access to Google could have found. 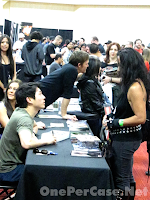 That being said, it's always fun to have everything gathered in one place, to enjoy a little face time with the actors and ,of course, to have some time to hang out with other fans who love a show almost as much as you do.